Page 18-6: The discussion of paint schemes for 1931 should include the special "scroll" tank panels discussed on page 18-9. 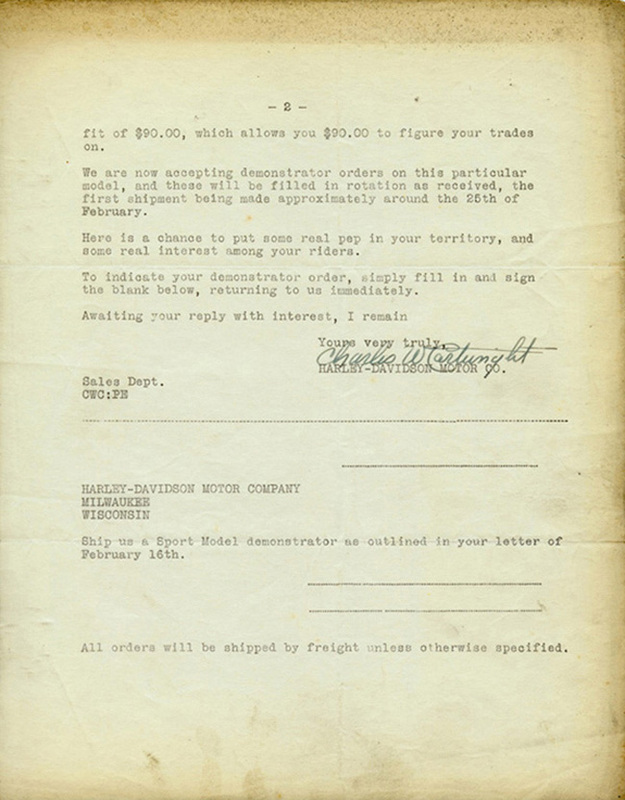 The letter below from the factory to one of it's dealers dated February 17, 1931 describes a new "Sport Model" painted "Vermilion with black panel guards, gold striping, and black scroll type panel on tank (new type of paneling)". 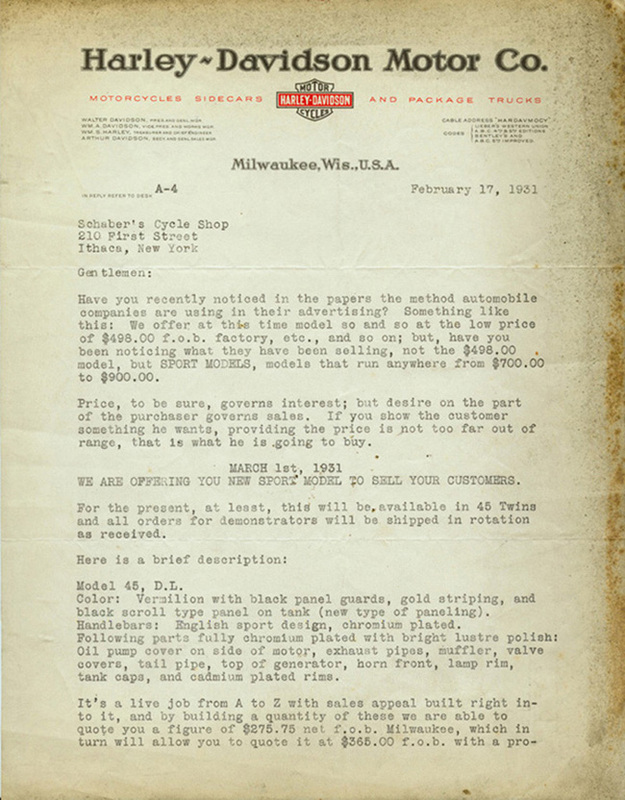 It was previously believed that the scroll design was not offered on production models until 1932, but this letter indicates that on special models, the design was offered as early as February 1931. 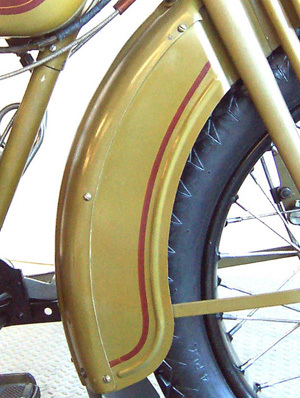 Page 18-17: The discussion on mudguard striping for 1929 to 1933 should explain that the fenders on 1929 models were striped in maroon without edging as shown below.